Anglers on a Montana fly fishing trip tend to forget about the rivers in Northwest Montana. 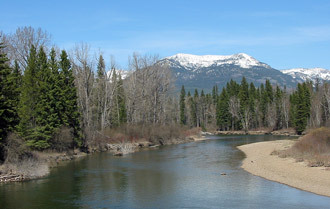 Despite flowing through spectacular scenery and not having the irrigation problems found in other Montana rivers, the rivers in Northwest Montana, except for the Kootenai River, receive low fly fishing pressure. 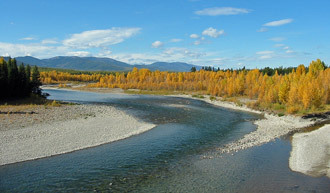 It is quite easy for anglers to have a river literally to themselves when fly fishing or floating in Northwest Montana. Of course, there is a reason for the low fly fishing pressure. The quality of fly fishing that is easily accessible tends to be less than found in other rivers of the state. In the Northwest part of Montana, only the Yaak River and the Kootenai River provide really good trout fishing on a consistent basis that also has easy access. 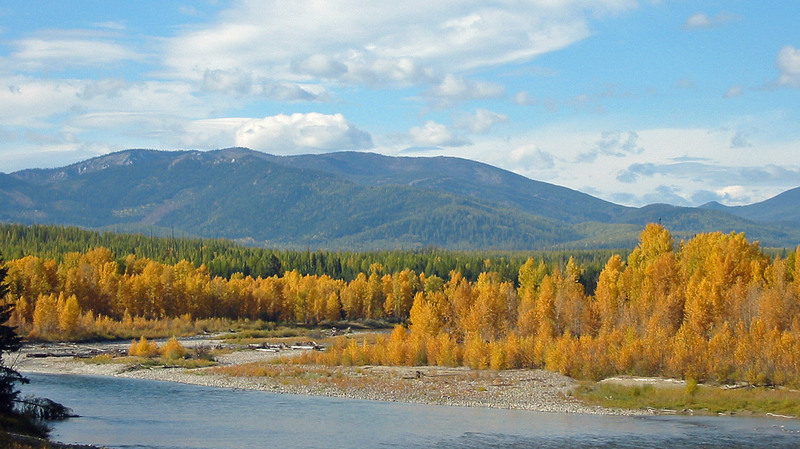 However, Northwest Montana is home to the wildest rivers in Montana. And for the anglers who are willing to spend the time to gain access to them, some of the finest fly-fishing for wild trout awaits. 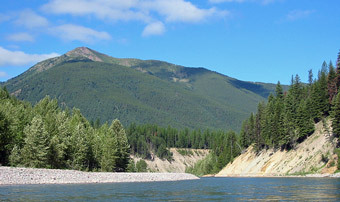 The Middle Fork of the Flathead River and the South Fork of the Flathead River both have excellent fishing in the wilderness areas that form their headwaters. The North Fork Flathead River also gives anglers a chance to have an encounter with a monstrous bull trout. 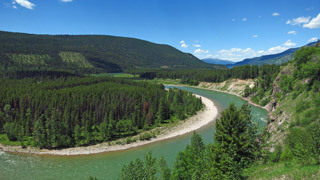 Additionally, while the relatively nutrient poor water of Northwest Montana (most of the water comes from high-elevation snowmelt) tends to keep the rainbow trout small in comparison to other areas of Montana, anglers fishing in this region have the ability to catch the native bull trout. Large northern pike are also found in some of the regions waters, presenting interesting fly fishing opportunities. Northwest Montana has a number of other benefits to visiting anglers. First among them is the close proximity to a myriad of other outdoor recreational opportunities, whether it is deep wilderness exploration or whitewater rafting. The proximity to Glacier National Park with its beautiful lakes, mountains and extensive hiking trials also open up a wide variety of recreational activities beyond fly fishing. Additionally, several nice, well-stocked towns for the angler, such as Whitefish and Kalispell, allow anglers to enjoy the benefit of small cities while still having quick access back to quiet and secluded rivers. 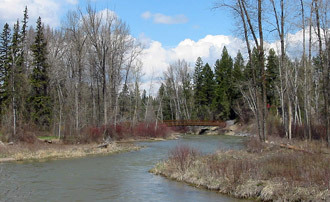 Overall, with the exception of the popular Kootenai River, the rivers of Northwest Montana are not the popular destination spots for fishing as found elsewhere in Montana. However, what the region may lack in massive rainbow and brown trout it more than makes up for in its ability to provide a visiting angler a very wide variety of fishing conditions in often pristine and very remote settings. An angler on a Montana fly fishing trip should not pass on the opportunities to fish in Northwest Montana. 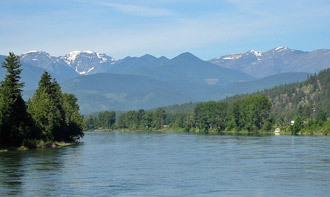 The Flathead River is a large river that begins with the confluence of the North Fork and Middle Fork Flathead River and ends at the confluence with the Clark Fork. The Middle Fork Flathead River offers decent trout fishing in a beautiful setting along the Southern boundary of Glacier National Park. Forming the western boundary of Glacier National Park, the North Fork provides decent trout fishing and has virtually no fishing pressure. 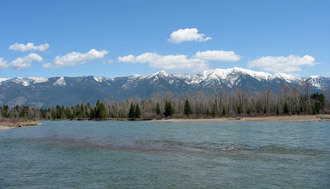 The South Fork Flathead River begins in the Bob Marshall Wilderness Area before flowing into Hungry Horse Reservoir. 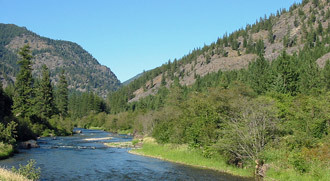 The Kootenai River is a large river and offers superb rainbow trout fishing, with the best fishing right below Libby Dam. This rarely fished, or floated, river runs through the Flathead River and offers fair fishing but a unique float. 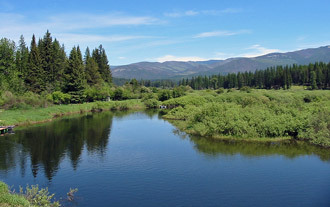 The Swan River has great fishing for native Montana trout, such as bull trout and cutthroat trout. The Thompson River has very light fishing pressure and offers spring-creek like fishing conditions in a remote corner of Northwest Montana. 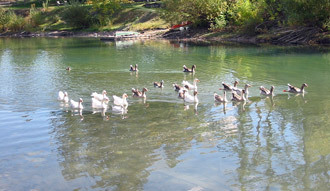 Running between Whitefish Lake and Kalispell, the Whitefish River offers fair fishing in a scenic setting and is a popular recreational float. The Yaak River, in far Northwest Montana, receives little out-state fishing pressure yet offers very good fishing for rainbow and cutthroat trout.